Embroidery hoops are so popular right now. They are readily available, easy to use, and inexpensive. Their versatility lends itself to making something minimal to something elaborate. 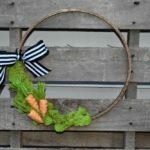 Remember my 10 Minute Easter Hoop Wreath and my Fall Tassel Hoop Wreath? 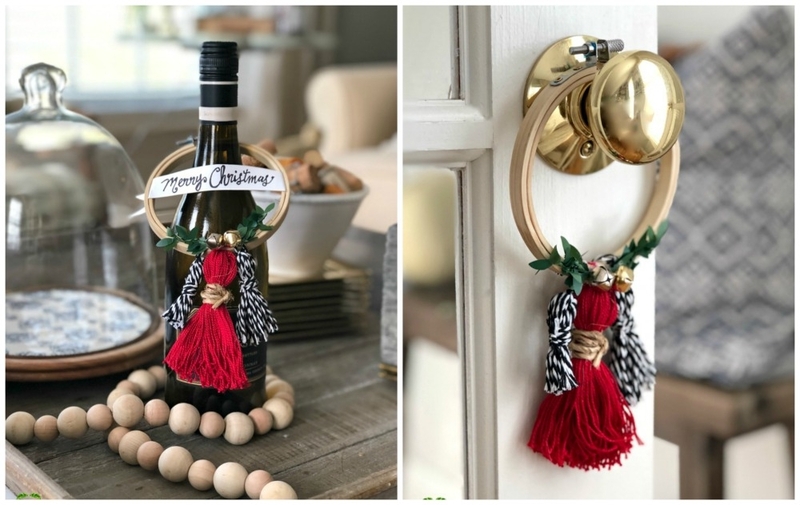 This Christmas, miniature embroidery hoops are taking over my decor, which proves that sometimes it is the simplest and most affordable DIY Christmas crafts that make the biggest statement. 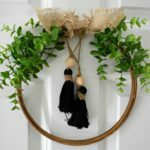 Armed with my hot glue gun and some miscellaneous craft supplies, I quickly transformed these mini hoops into something that anyone can make. 1. 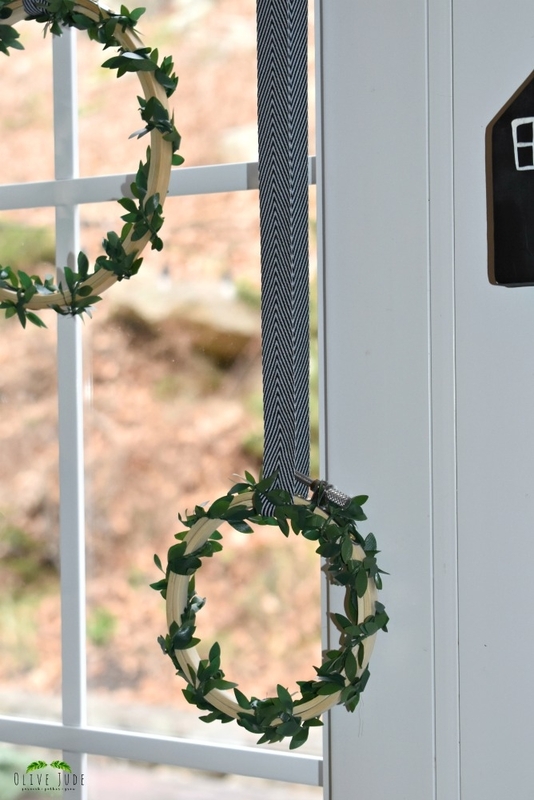 This wire greenery is an easy way to add a natural look to these hoops. 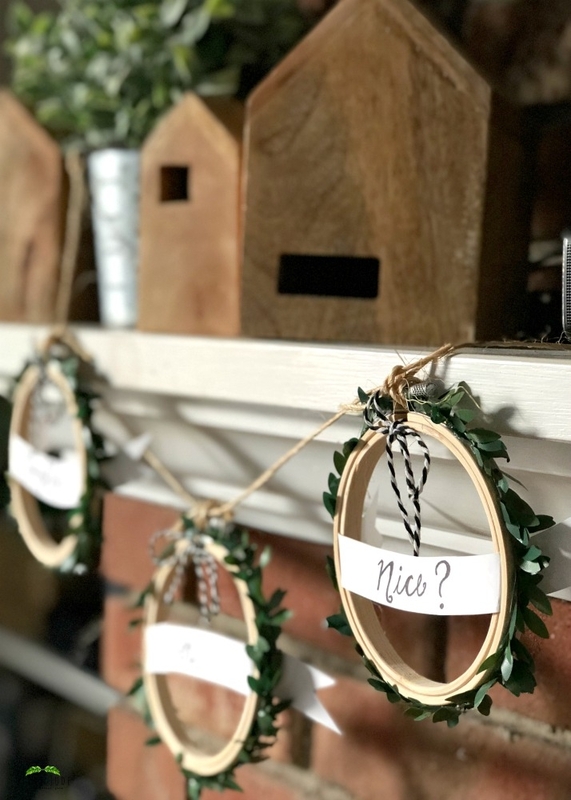 When strung on a jute twine and embellished with the perfect words, I get a festive little garland to hang on the fireplace. Maybe if I get the right look on my face and just point to this all month long, everyone will be on the nice list. 2. How cute is this little gift card holder? 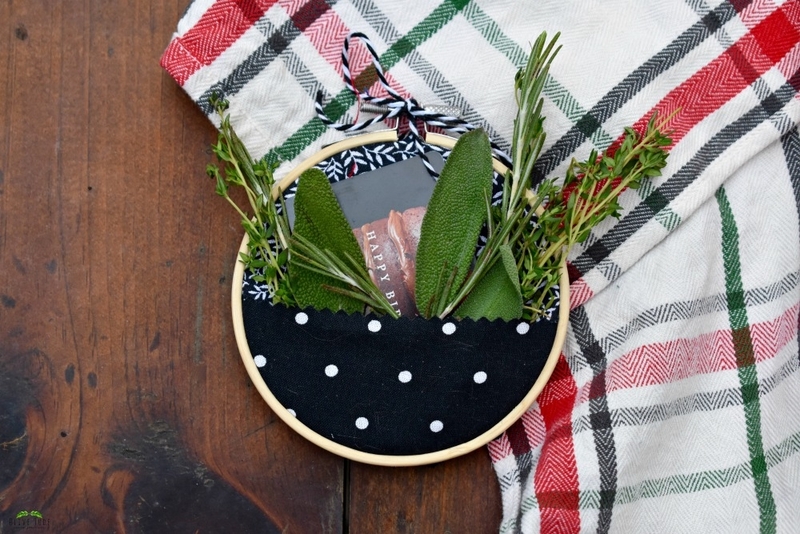 With just two pieces of scrap fabric layered on each other, this little pocket holds a card and some fresh herbs for color. 3. 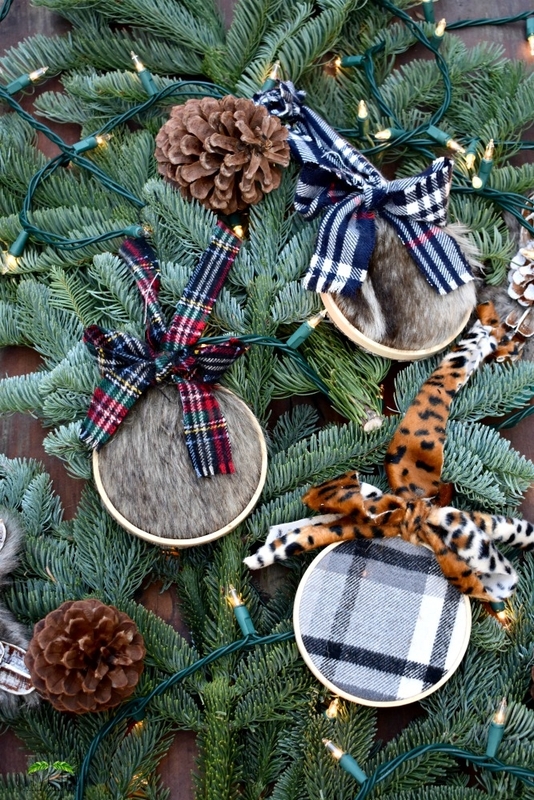 These ornaments were inspired by my Rustic Woodland Winter Wonderland Tablescape from last year that was adorned with faux fur and natural elements. 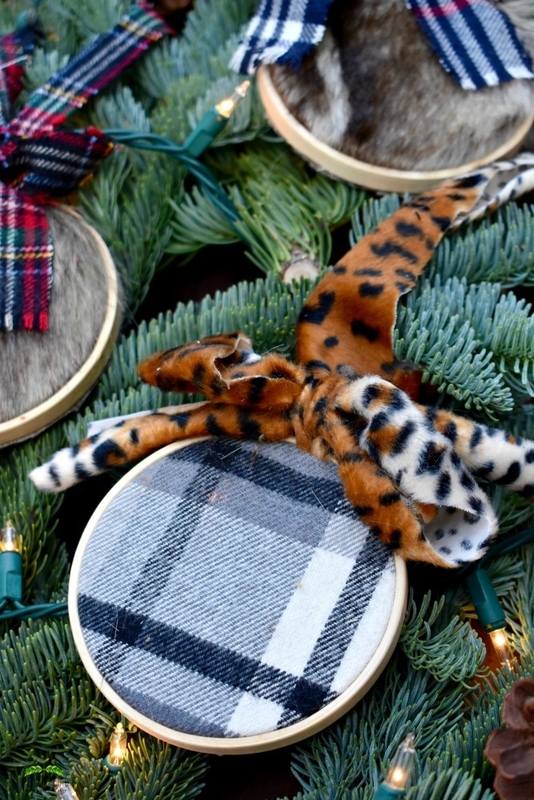 I added a splash of color to the fur fabric and turned these plaid flannel scraps into bow hangers. These may be my new favorite thing on the tree. 4. 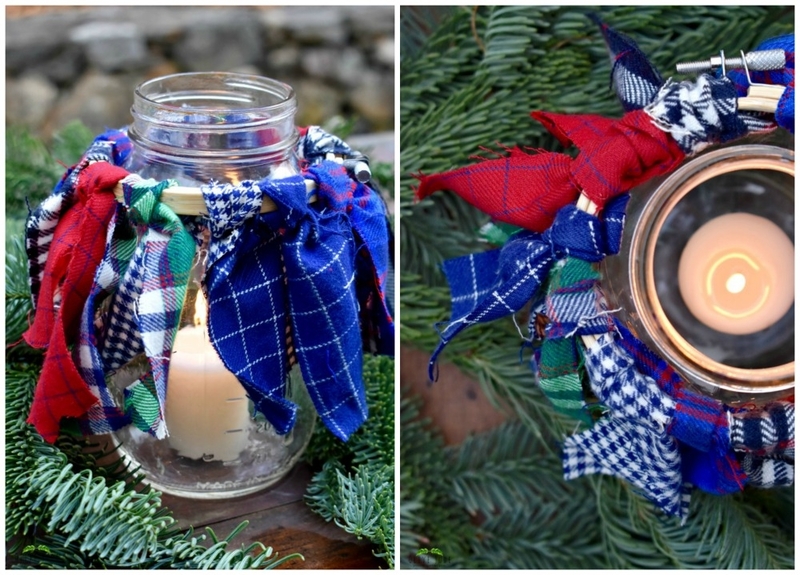 This “rag” hoop uses some of the same flannel scraps and warms up the top of a candle lit mason jar. 5. I always have a stash of various sized hoops in my craft supplies and I just couldn’t resist building a snowman, scarf and all, with three of these. 6. 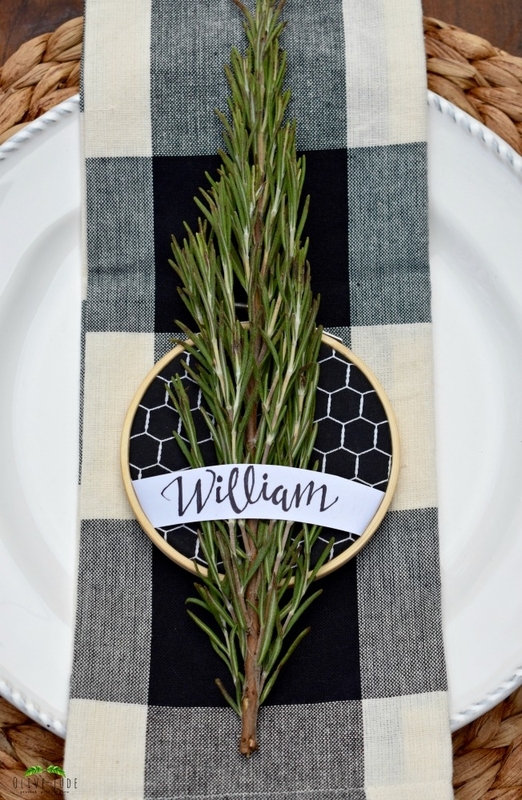 My guests will find their spot at the table with these beautiful and fragrant herb place cards. I love this bold black and white fabric that works with any decor. 7. Admiring our Christmas cards from past seasons is the best! 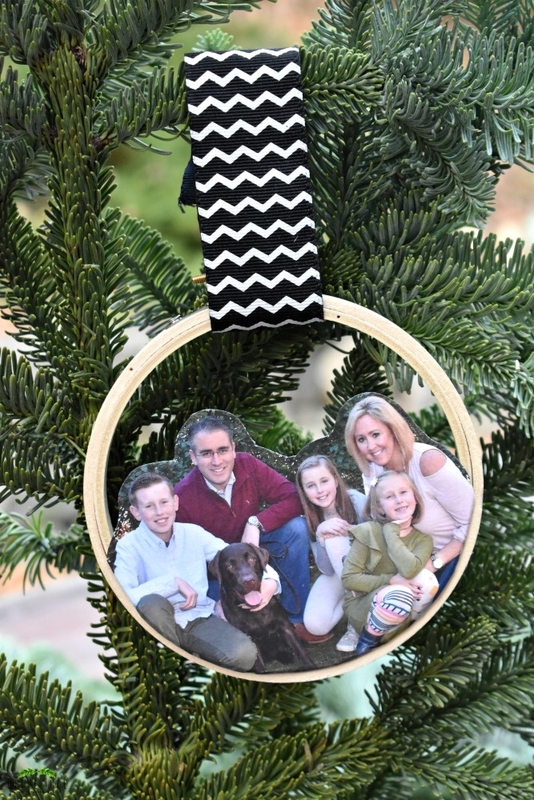 A decorative ribbon is all it takes to scatter these personalized ornaments on our tree. 8. 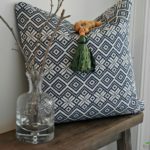 Heading to a party and need a hostess gift? 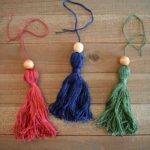 These easy DIY tassels made from embroidery floss and baker’s twine hang from the hoop and make an ordinary bottle of wine more personalized. 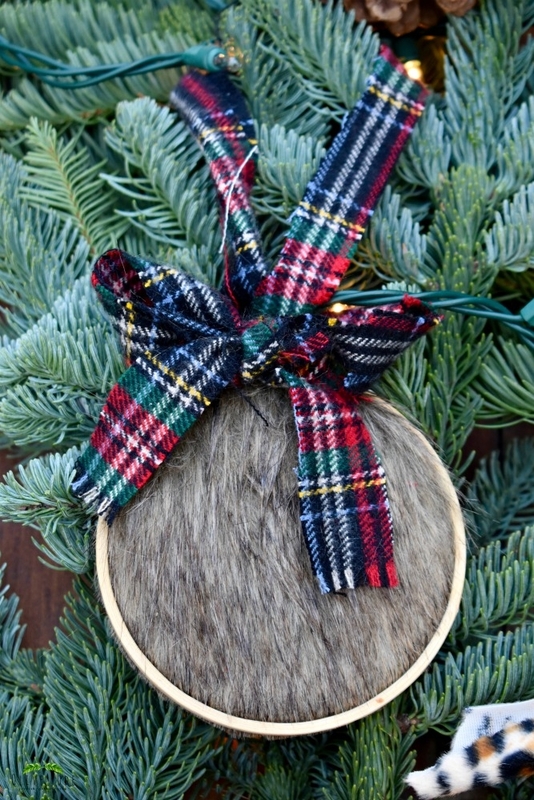 It can be repurposed as an ornament or a doorknob hanger too. 9. 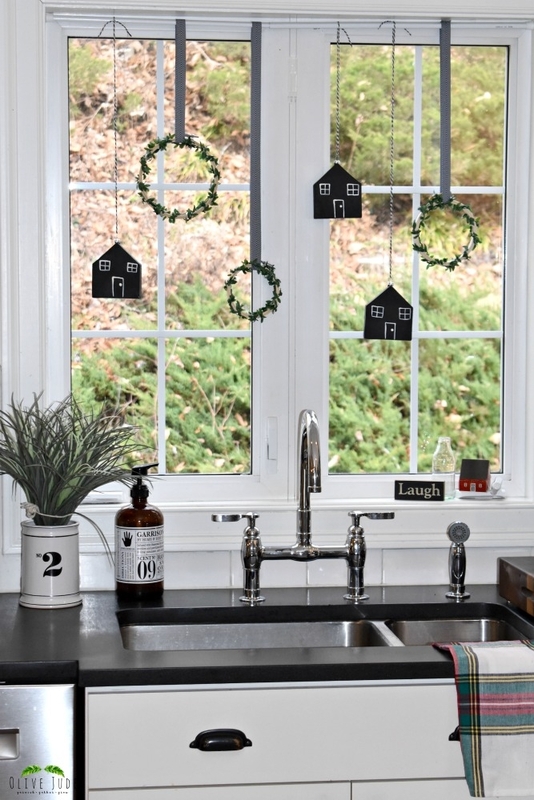 A spring-loaded curtain rod, a few pieces of my black and white twill ribbon, greenery wrapped hoops, and these fantastic little house ornaments make my view at my kitchen sink a lot more fun. These may stay up all winter long. 10. I didn’t forget about the kids. Maybe by the time Christmas rolls around, I’ll be hiding these because of the noise they make, but for now, these adorable jingle bell tambourines are perfect for jamming to holiday tunes. 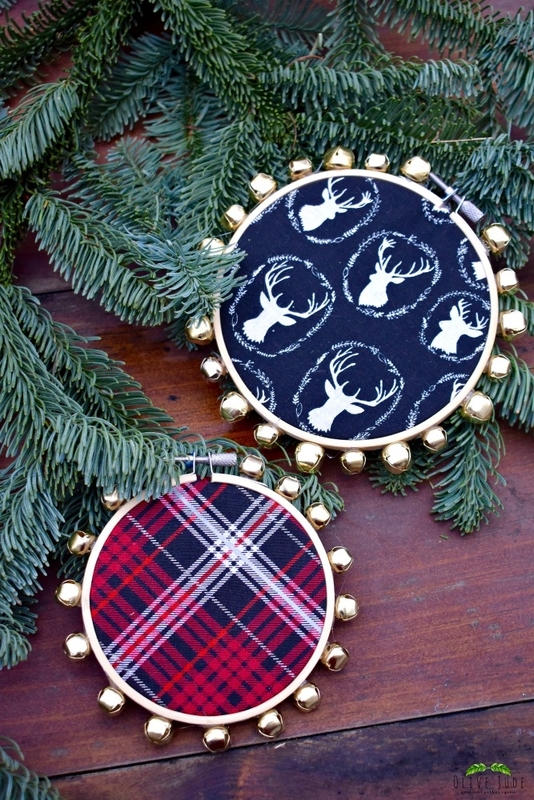 Which embroidery hoop craft do you want to make? Jen, I love these! They’re sple with a big punch. So adorable! These are all THE prettiest! I’d so love to make one – they’re awesome decor! I appreciate that, Adriana! Happy you visited! Oh my goodness, these are gorgeous! Your instructions make it seem like it’s actually something I could make too. I am going to have to make these soon. So simple that the instructions are so minimal. So many cute ideas! I can’t even pick a favorite! Well, that’s a good thing! Thanks! That’s so kind of you to say! Thank you so much! These are so cute. I love how much variety you can get with them. Amazing, right!? Thanks for checking them out! 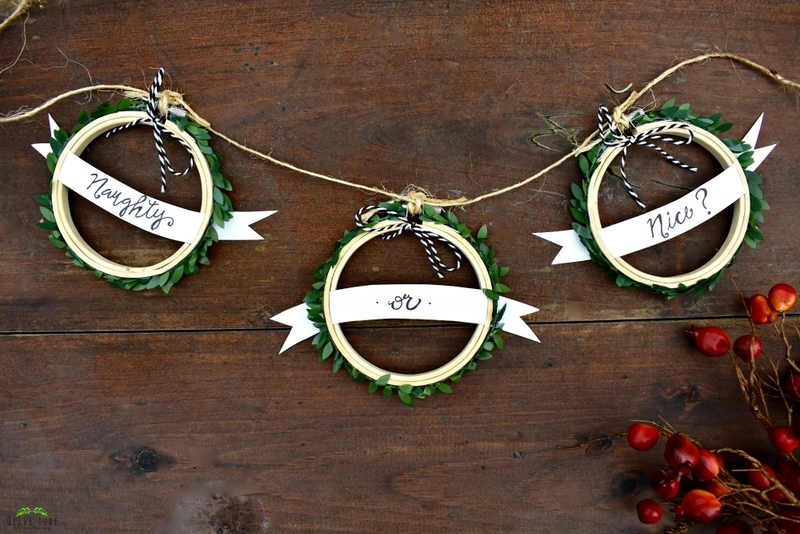 Love love love these ideas with an embroidery hoop! My oldest could even help me with these projects! Thanks, Clair! My girls were right in on the action. I just want to give them a pile of hoops, fabric, and other supplies and let them create! Such a cute idea and actually pretty “user-friendly!” Love that you can use them as gift card holder, decor, etc.! Thank you for the feedback, Taylor! These hoops are so awesome! Thank you, Paula! I love your feedback! Thanks, Mimi! I love their simplicity! I get it! Sometimes we need a break. Happy Holidays! These are ALL so cute! 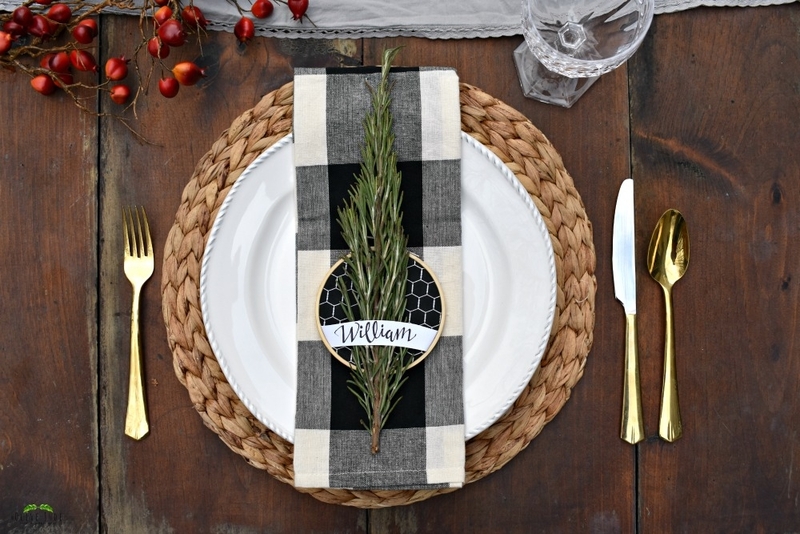 I especially love the table setting and garland! Oh my goodness, I love these! The wire greenery is so beautiful. I love all of these ideas! This is just the look I want for my Christmas decor. Thanks! It’s easy and affordable, so that is the good news! These are so pretty. I like the ones in the window best. I think these and the fur ornaments are my faves. What fabulous and creative ideas! 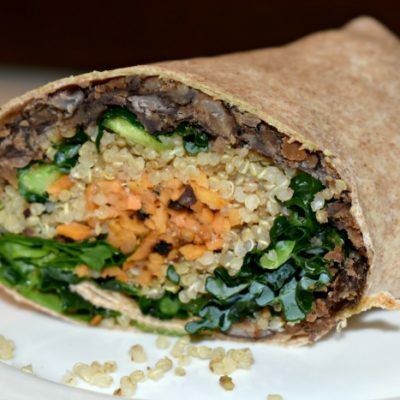 I am definitely going to give this a try next week. I have always wanted to make my own decorations! Jen, I’m SO impressed with these DIY ideas!! I can’t decide which is my favorite since everything looks pretty! I have larger embroidery hoop that I don’t know where to use… thanks to your post, I’ll try to make wreath! Thank you, Em! I love that in just minutes, I get a new look for the holidays. Hope you get to make one too! Beautiful as always Olive Jude! Gosh, these are all so cute! I think the first with the words is my favorite! I’m going to try this with some old hoops I was given. Thanks! I appreciate that so much, Jennifer! I love the garland too! These embroidery hoops turned out really nice! I should try them sometime to decorate the house. Go for it! 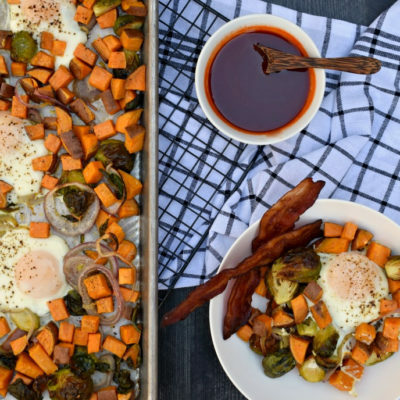 They are insanely easy to throw together! 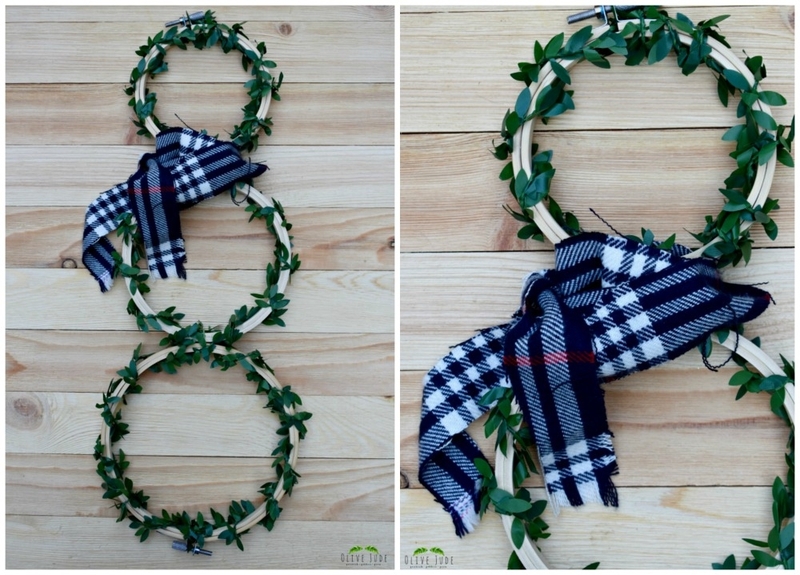 These DIY hoop projects are seriously inspiring! I never thought to make something out of hoops like these. I especially love the mantle decoration. I’m gunna try it! Thanks, Emma! Excited to hear this! Enjoy! Thanks, Candy! My daughter thinks this tambourine is so fun!